‘Tis the season for Kolios, sha la la la la la la la. 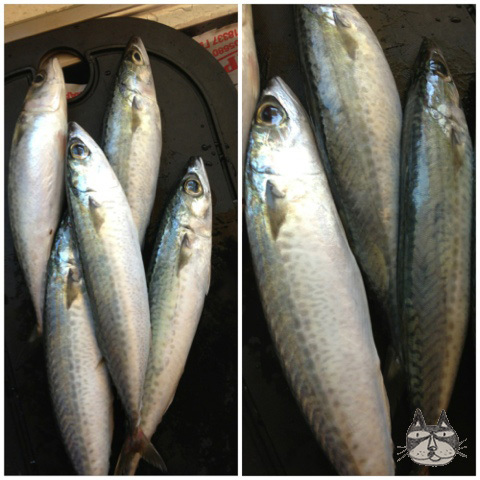 The months of July and August will yield the best catch of this fish, known as the Atlantic Chub Mackerel. 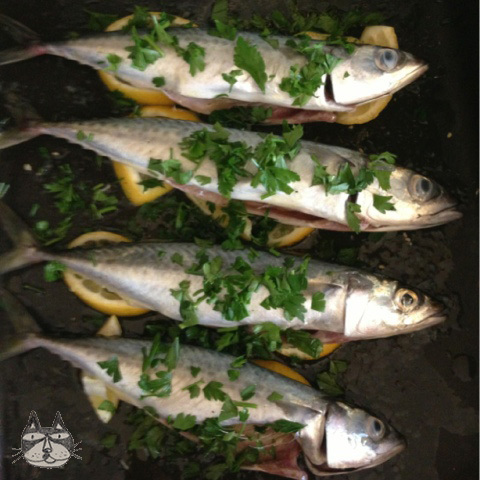 It is a rather meaty fish, as all mackerels are, and its healthy too – an oily fish, it is a rich source of Omega-3. The flavours remind me of the fish I used to eat when I was young, called Ikan Kembung, (which is a type of mackerel), usually just coated in salt and turmeric and then fried. 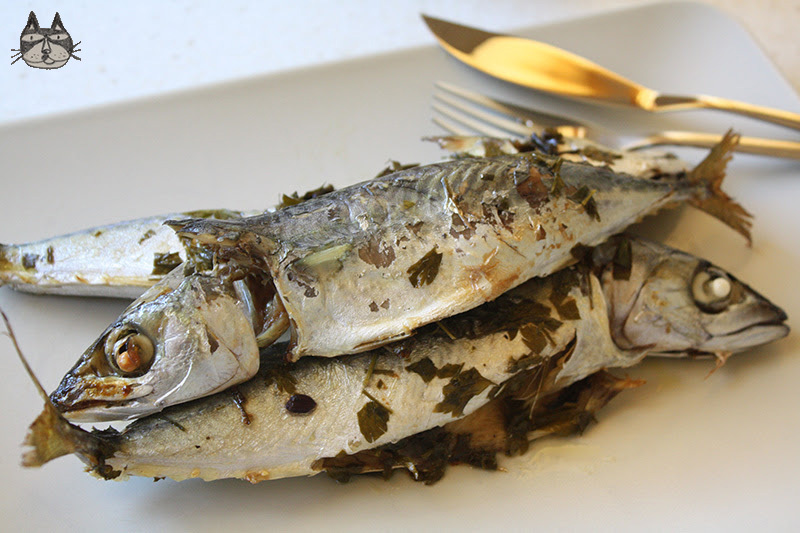 I have eaten Mackerel Braised in Tomato Sauce before, but never simply with lemon and parsley. So to the psaradiko (fishmongers) we went one Sunday summer morning, and got ourselves Kolios. Fresh flat-leaf parsley and whole juicy lemons later, this is what I made. (This is my first attempt at cooking Kolios! What do you think?) You can serve this dish with a variety of side dishes to compliment the fish – potato salad would go well with the lemony flavours here. I had mine with rice (like it would be any other way, right?). 2 big juicy lemons – slice one of them and juice the other. A handful of flat-leaf parsley, chopped. 100ml Extra virgin olive oil, or according to taste. In a baking tray, lightly oil it, and add the sliced lemons. Add the fish on top, and season with salt and pepper. Cook it in the oven for approximately 20-25 minutes. 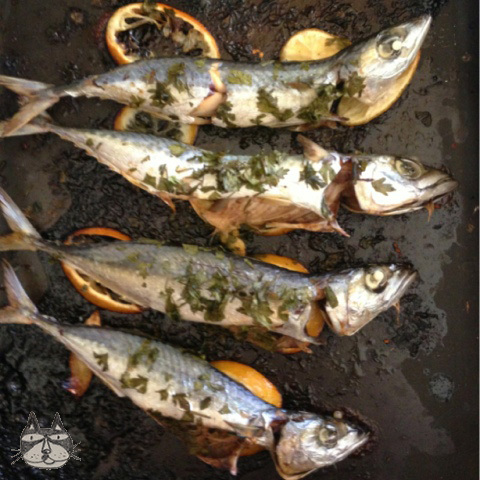 Careful not to overcook the fish – it will dry out. Serve hot! Previous Post Raya Cookies: Kourabiedes-inspired Walnut Butter Snowballs.